If you’re unhappy with the brightness of your smile, you may be considering professional teeth whitening. If you have questions about what the process entails or whether you’re a good candidate, High Point Smile Dentistry in North Carolina has the answers you need. The following are just a few of the basics of teeth whitening so you can make the best decision about your dental care. Over time, tooth enamel becomes stained by foods, drinks, and even smoking. These stains can’t be remedied by brushing alone, which is why many people seek out whitening treatments. Dentists typically use a bleaching solution, which can make teeth five to seven shades lighter than they already are. They also use a device that activates bleach by training a certain spectrum of light on the teeth. Treatment can also be applied via a bleaching tray, which will be specially designed per patient specifications. In-office treatment results can be seen in an hour or so. If you opt for tray whitening, the entire process takes about four weeks. An impression of your teeth will be taken during the first visit, which will be used to create the bleaching tray. Solution should be applied at home for about an hour at a time over the course of two to three weeks. 3. Am I a Good Candidate? People with healthy teeth and gums are the best candidates for whitening treatments. If you currently have gum disease or decay, these issues should be dealt with before whitening can take place. 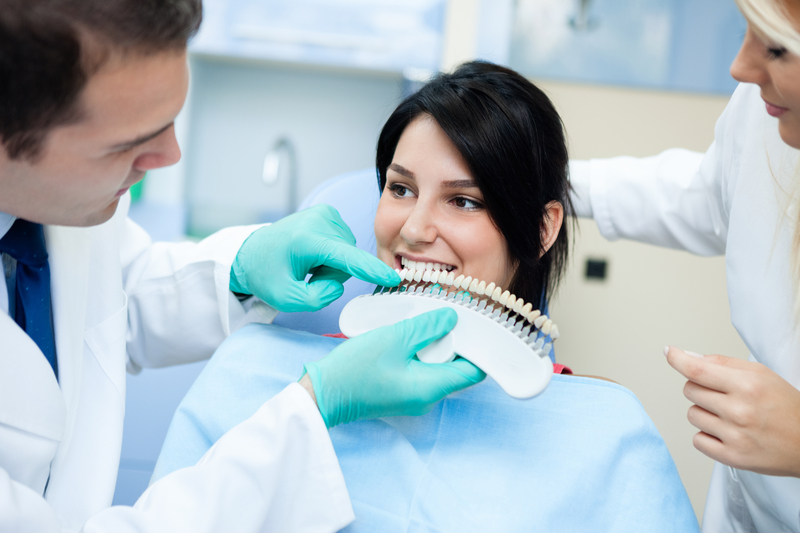 Additionally, if you have dental restorations like fillings and crowns the procedure may not be as effective. Artificial materials aren’t affected by whitening solutions, which means coloring will be uneven. High Point Smile Dentistry knows that having a fantastic smile builds confidence and self-esteem. That’s why they work with their patients to find teeth whitening solutions to suit their exact needs. They also offer other cosmetic procedures, including porcelain veneers to treat significant discoloration. Schedule an appointment at the High Point office by calling (336) 884-4000 today or visit them online for answers to frequently asked dental questions.